A Long Island attorney who worked for Legal Aid has been found dead at a resort in Turks and Caicos. Lori Bordonaro reports. Authorities in Turks and Caicos are investigating the death of a 61-year-old tourist from New York whose body was found in the bushes near a Club Med last week, according to island police and the dead woman's son. The Royal Turks and Caicos Islands Police Force identified the woman as Marie Kuhnla; her son tells News 4 she was a Legal Aid attorney in Suffolk County. Kuhnla's body was found near the Club Med resort Oct. 16, a day after she had been reported missing. The circumstances surrounding her disappearance weren't immediately clear. News 12 reports she had been vacationing with two co-workers when she vanished. Police have not elaborated on how the Wantagh woman may have died, but said they have launched a "murder investigation." The Legal Aid Society of Suffolk County said it's "reeling" from the loss of Kuhnla. "Marie was a valued employee, a dedicated attorney and a dear friend and colleague," Attorney in Charge Laurette D. Mulry said in a statement. "She was extremely kind and considerate to all. She always puts her clients first and worked tirelessly in her efforts as a Family Court attorney for the last seventeen years. We are grief-stricken and saddened by the news of her passing. Our hearts go out to her husband and son." Kuhnla's son, Rick, described her as "a loving, compassionate woman who I was lucky to have a mom." He said she went back to school later in life to earn her law degree and spent more than 15 years as a public defender. "If she saw someone who needed help she would help them. 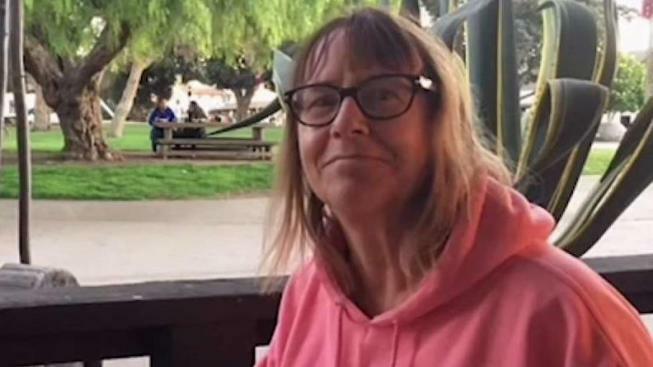 She enjoyed reading, being at the beach, seeing new places, and dining out," Rick Kuhnla, who lives in California, told News 4. "She was a wonderful woman who brightened the day of everyone who knew her and many who didn't. She may be gone but the impact she had on the world and inspiration she provided most certainly is not." Marie Kuhnla's brother, Peter Chetuck said his sister "was one of the smartest people I have ever known." "She was a professional woman even before it was chic," Chetuck said. "She was a great wife, mother and family member. It's just a really horrible way for things to end. There is no justice in any of this." "The whole family is devastated," he added. "Stunned. Stunned disbelief. You don't even feel like you are grieving at this point because it is so surreal." Club Med released a statement Tuesday confirming Kuhnla had been a guest at the resort, and said it could provide no further details due to privacy concerns and the nature of the ongoing investigation. "The entire Club Med family is saddened by the death of this guest and sends its deepest condolences to the guest's friends and family," the statement said. Anyone with information is asked to call Crime Stoppers at 1-800-8477.